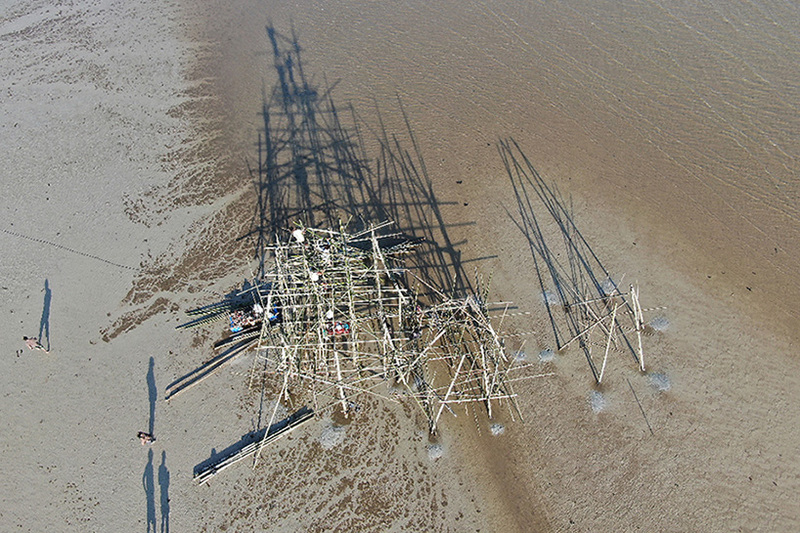 map office is a multidisciplinary practice founded by artists laurent gutierrez and valérie portefaix. 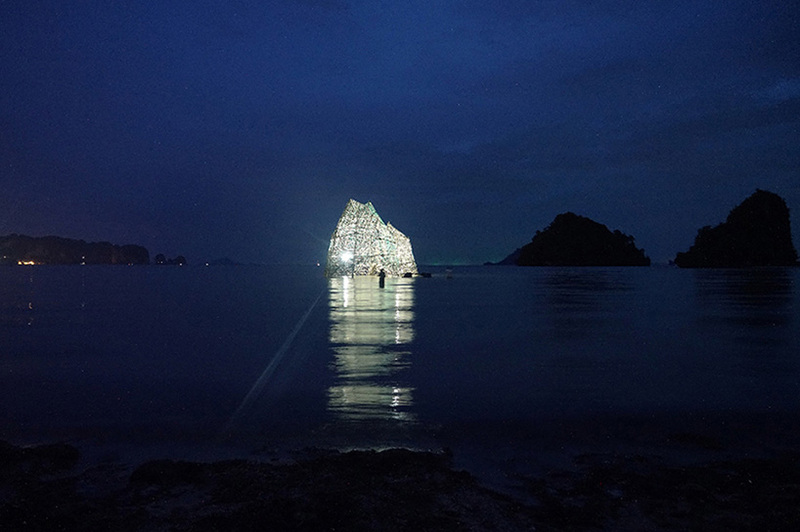 the practice is based in hong kong and works on a variety of projects using diverse forms of media. 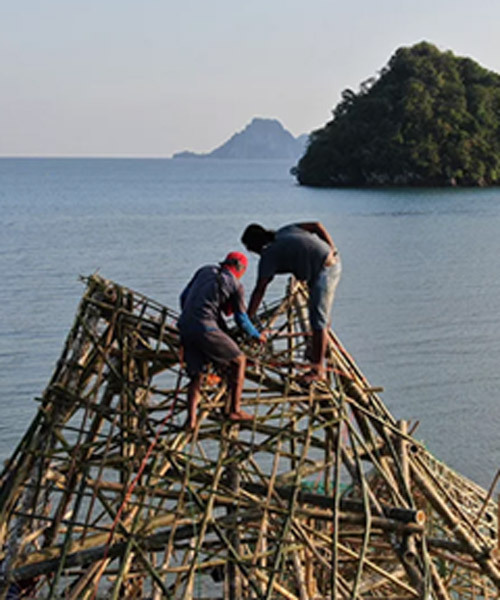 hong-kong based practice, map office has created a six meter high installation as part of the 2018 thailand biennale. 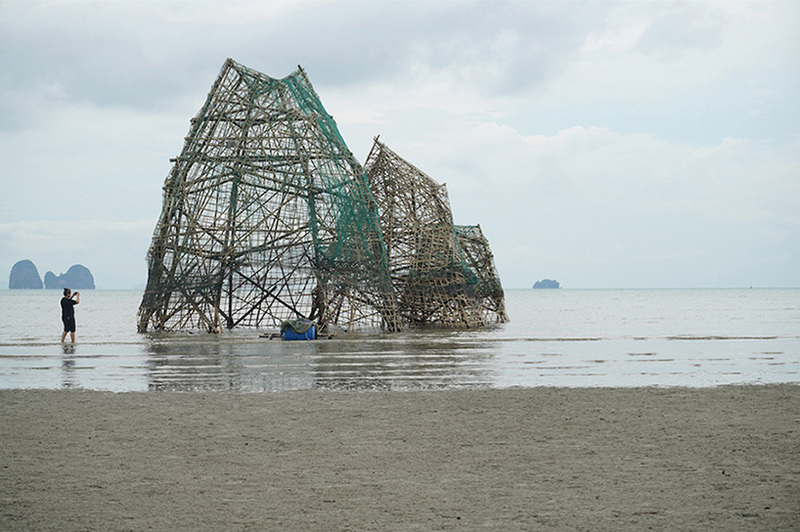 ‘ghost island’ is made from reclaimed fishing nets that have been left behind in the sea around krabi and the andaman ocean and recalls the particular geology of the surrounding islands formed by the accumulation and stratification of numerous distinct layers. 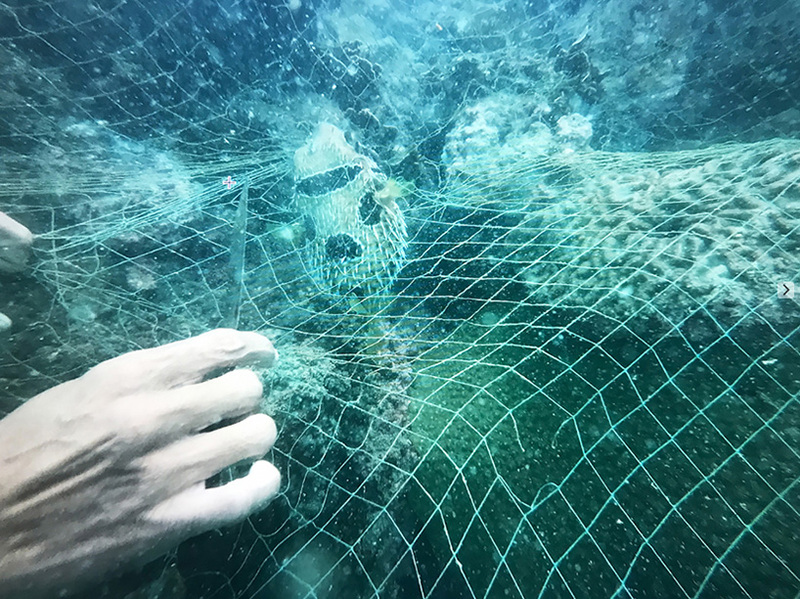 the installation aims to highlight important issues, such as waste at sea and the necessary labor required to protect our environment. 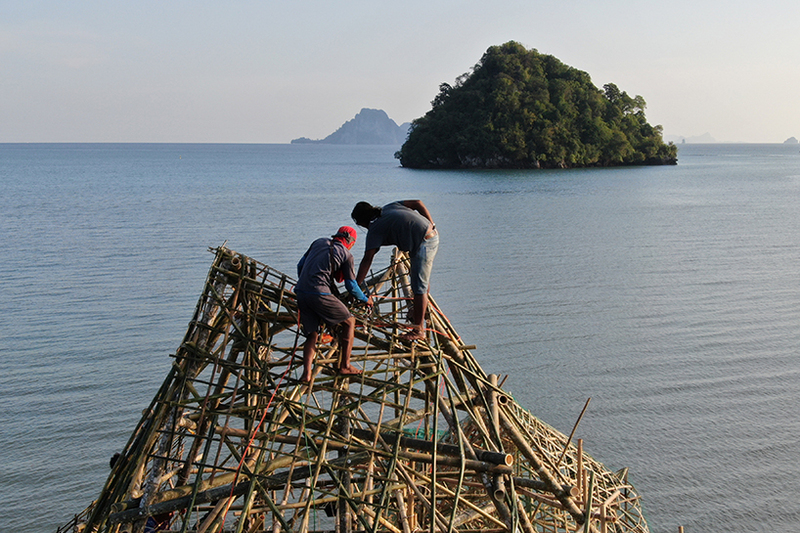 krabi province is famous for the unique karst island landscape and clear blue waters, but beyond the tourist destination the region also supports numerous fishing activities. 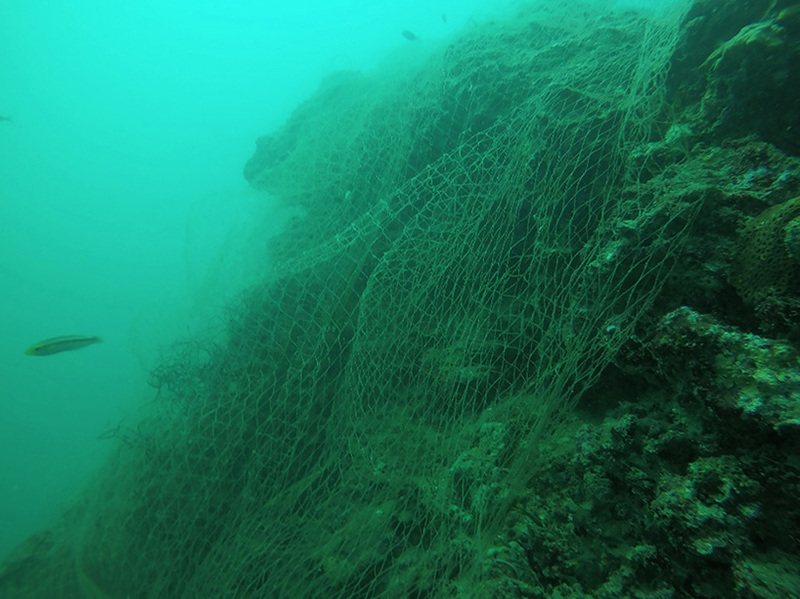 an invisible sign of those activities is the growing number of lost or abandoned fishing nets in the sea. 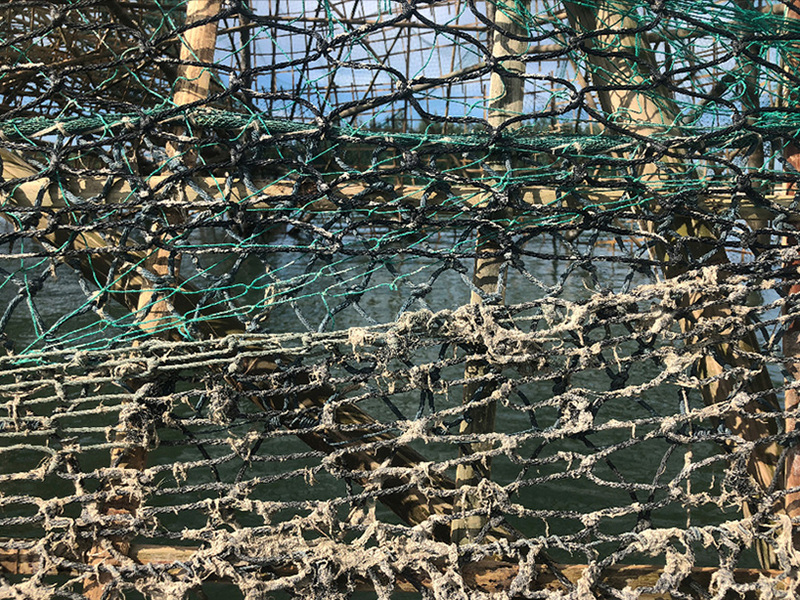 these nets are causing huge damage to the marine environment as they become tangled up with fish and turtles. 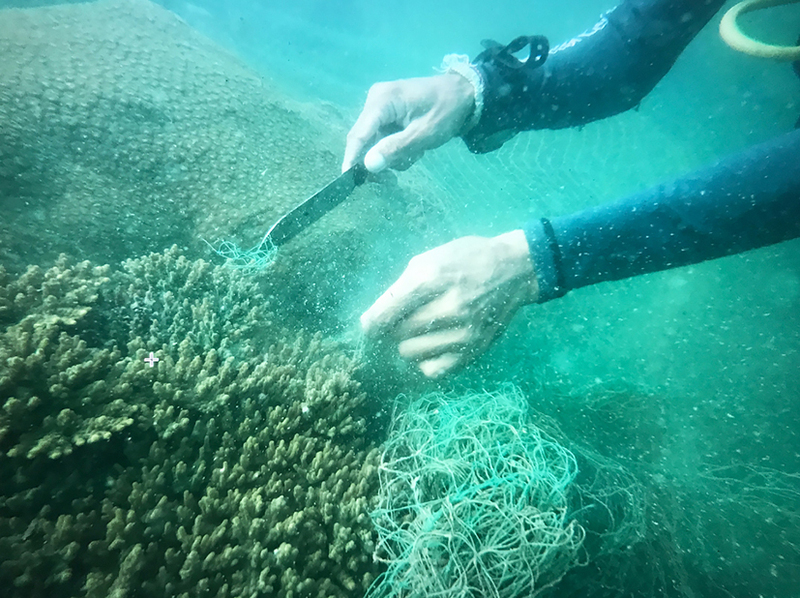 for this project, map office has worked with a group of environmental activist divers that participated in protecting the coral around the islands and free trapped animals from the nets. 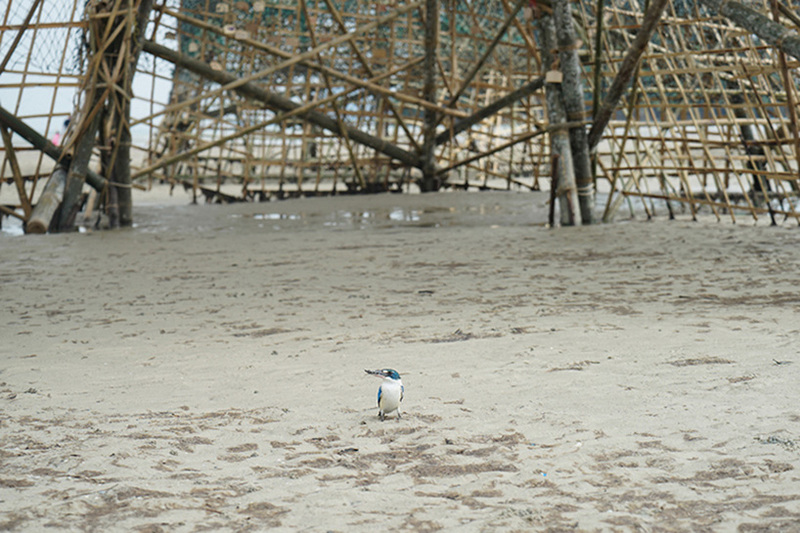 by using this method, the main material used for the construction of the new island is free and the most important concept of cleaning up the sea is effectively demonstrated.